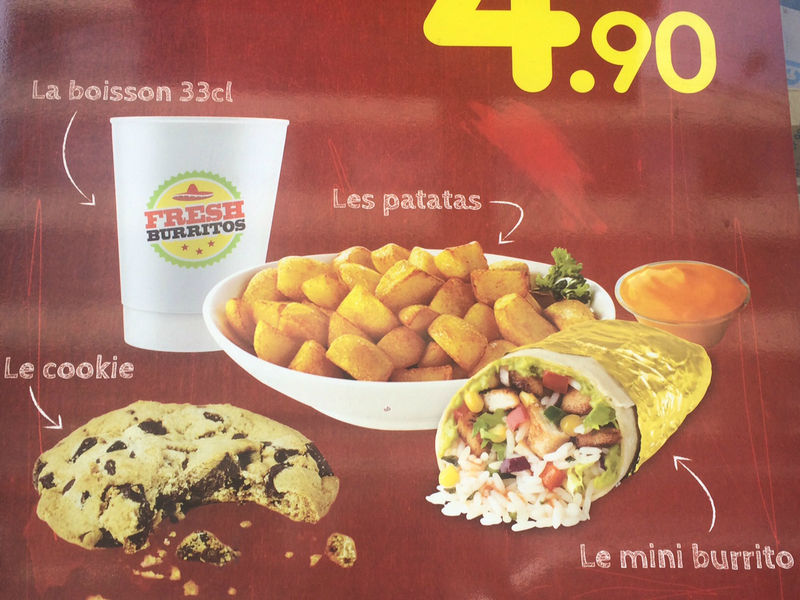 I was tempted for a minute, but then I realized Le menu looks suspiciously similar to any bad Mexican faire á l’américaine: I’m afraid the 4.90 euro combo of La boisson, les patatas, le cookie and le mini burrito will properly give me Le diarrhée. … And don’t get me started on the non-descript orange sauce-like thing in the background. So… merci, but non merci! 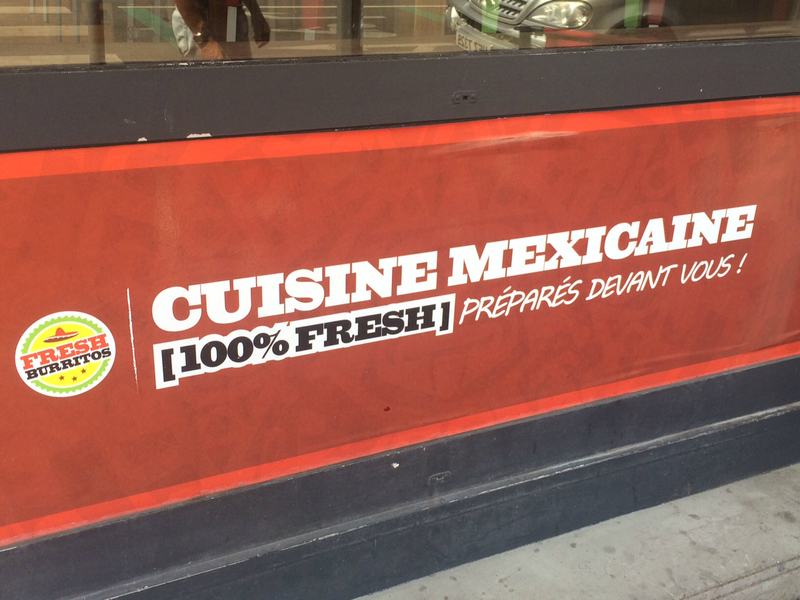 This entry was posted in Food, Guacala, Language, Marketing & Advertising, Mexico, Stupid propositions, Tacos and tagged burritos, France, Lille, Mexican Food. Bookmark the permalink.